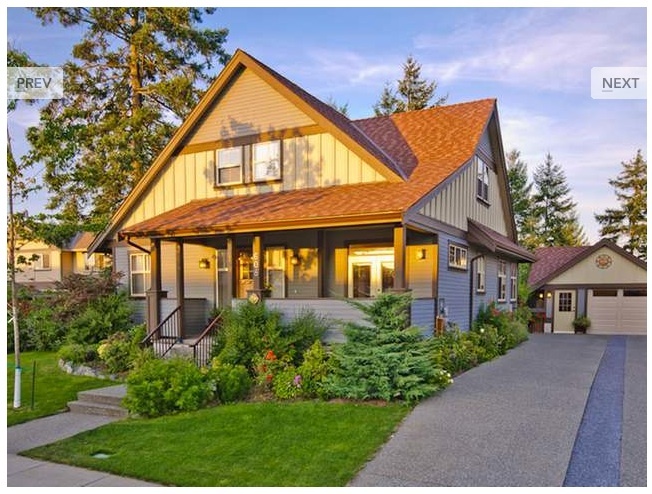 This lovely Craftsman style house has 3 bedrooms and 3 bathrooms. The master is on the main floor with the extra bedrooms and a family room upstairs. It also has a formal dining room which is often missing in today’s homes. From the front verandah you have a view of Mt. Benson and from the beautifully landscaped back yard you look onto a quiet park. Only 3 years old, this home is like new without the HST! Send me a email or give me a call if you’d like to see it. What is a Bare Land Strata? We have several “Bare Land Strata” developments in Nanaimo. Long Lake Heights and Lakeside Estates (Garside Cres.) are two local examples. With a bare land strata each lot is owned individually and so is responsible for its own maintenance. There is also common property such as the roads and sometimes a club house or storage facility. The strata is responsible for the maintenance of this common property. Bare land strata fees are lower than a regular strata and they usually cover garbage pickup, sewer, water and road maintenance. Non-strata residential home in Nanaimo pay User Rates for these services, over and above property taxes. Bare land strata home owners do not pay the city User Rates. Bare Land Stratas usually have rules that regulate parking. Often there is no parking allowed on the street overnight and no RV parking. This is because the streets are often narrower than in a regular subdivision. While the bare land strata does not have the right to regulate the home owners use of their own property, there may be a common building scheme with regulations about exterior finishes and roofing etc. This is true of any subdivsion. 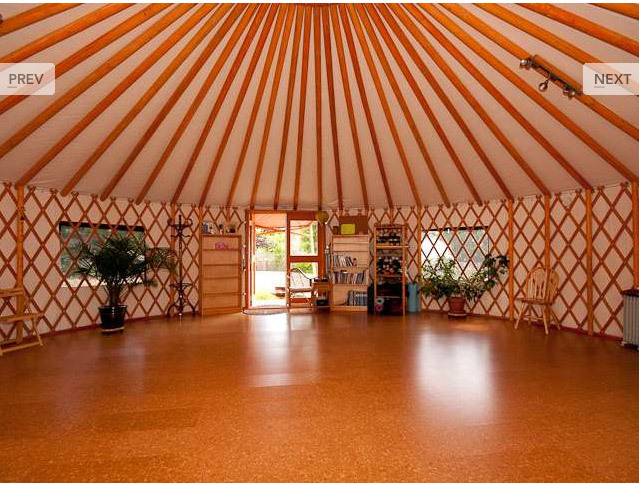 Best of Tour – Super Cool House with Yurt, Pool and Potter’s Studio! More than a house – this is a lifestyle! 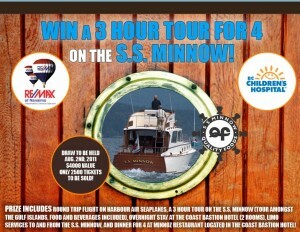 A 3 hour Tour on the SS Minnow – we have a winner! We have a winner! August 2/2011, John Vos of Print 3 in Nanaimo won a 3 hour cruise for 4 friendson the original S.S. Minnow of Gillian’s Island fame, as well as other great prizes. Better than that, though, is the over $10,000 the Remax of Nanaimo raised for Vancouver Children’s Hospital. – Permitting front porches to encroach on building setback zones. – Creating “Commercial Corridors” along major thoroughfares such as Bowen Road, with medium density, a building height minimum of 2 stories, buildings pushed forward towards the street and parking in the back. – Creating “Urban Nodes” which will have the highest density and a mix of commercial and residential uses. Although these regulation changes will become effective immediately, there will be amendments to come as needed and requested by the public. Let’s hope that these changes will indeed bring us friendlier and more sustainable neighbourhoods within our beautiful city. Watch this inspiring video and then get on with being awesome! I’m posting this video because it will make you feel good. Joel is a Montreal-based jazz musician. He shares his joy in creating music and the new perspective his baby girl has brought to his music and his life. Beautiful! It is often said that Buyers Agent’s services are free. It is true that buyers do not pay anything for their Realtor’s services, up front, but when a deal is made the buyer’s Realtor will usually receive half of the commission from the listing Realtor. Who comes up with the money for the commission? The standard answer is The Sellers. However, when you stop and think about about it, the only people putting money on the table are The Buyers, so who is really paying the commission? Truly, the cost of the commission is built into the listing price. The cost of the Realtor’s commission was rolled into the price of the house when you bought and it is rolled into the price of the house when you sell it. That’s how our industry with it’s fantastic MLS system is funded. Why you need your own Realtor? Your Realtor has a legal relationship with you know a “Agency”. The means that your Real Estate Agent owes you his or her loyalty, must obey your (legal) instructions and is responsible for the careful stewardship of your money and property within the context of a real estate transaction. There are usually 2 Realtors involved in each sale. The listing Realtor represents the sellers. He or she lists the property on MLS, markets the property, arranges showings and negotiates the best possible price and terms on behalf of the sellers. The buyer’s agent searches for suitable properties for the buyers, arranges showings, presents the offer to the sellers and negotiates the best possible price and terms for the buyers. As you can see there is an inherent problem created when the listing agent (who has a duty of loyalty to the sellers), offers to act on behalf of the buyers too. This is, in fact, legal to do this, but clearly there is a conflict of interest between what is best for the buyer and what is best for the seller. When you see a property for sale that interests you, do not call the Realtor on the sign.Call your own Realtor, or get your own Realtor by calling me, Love Real Estate Group Love at RE/MAX of Nanaimo, or call your local RE/MAX office and speak to the person on duty. Just get someone that will negotiate on your behalf with only your interest in mind. How does a Realtor get paid? Your Realtor only gets paid when a deal is completed. There is no hourly wage or stipend. The listing Realtor charges commission based on a per centage of the sale price of the home. This percentage varies between agents and agencies, and yes, there is a full 12% HST charged on that commission. Common practice is for the listing Realtor and the buying Realtor to split the commission 50/50. Then each Realtor will pay their brokerage a fee for each sale as well as various overhead charges such as real estate board membership fees (which pay for the MLS system), office space, advertising, signs, gas etc. Actually the entire real estate industry runs on the dollars that are generated from the commission charges from each sale. I know it looks like the listing agent is pocketing a big chuck of change with each sale, but by the time it is split with the buying agent and the brokerage and the taxman it is really a far more reasonable amount. Single Family Homes: The number of new listings this month is about the same as last year however, the total number of houses for sale in Nanaimo is 720 compared with 670 last year. Sales for July 2011 are down 18% and prices are 7%. The average house sells for 97% of its asking price and is on the market for 50 days. It looks like a buyers’ market to me – lots of inventory and lots of competition for the buyers’ dollars. Condos: The number of newly listed condos is the same as last year and the total inventory is 221, compared to 278 last year to date. The average sale price is down 14% from last July. On average condos are selling for 96% of their asking price with an average of 57 days on the market. Townhouses: The number of townhouses newly listed is down a dramatic 48% from last July but the total inventory is about the same at 169. The average selling price is down 17% from last July and units are selling faster than last July with an average of 55 days on the market compared to 99 days in 2010. They are selling, on average for 96% of their asking price.